Two recent, simultaneous developments indicate the formalisation of new axes in South Asia, marking a decisive end of Cold War-era equilibrium. These coincidental moves also harden new alliances that had tentatively emerged from the ashes of the Cold War and relegate traditional ties to the dustbins of history. On Monday, Pakistan commandoes joined forces with their Russian counterparts for Dhruzba (friendship), the second joint military exercise in the mountainous regions of Minralney Vody in Russia. A day later, US Secretary of Defence Jim Mattis, in a first Cabinet-level visit from the Donald Trump administration, landed in India. While Mattis flew from New Delhi to Kabul skipping Islamabad on his maiden South Asia trip, Pakistan was busy conducting a three-week-long air force exercise with China even as it continued war games with Russia. As Mattis left Indian shores after meeting Prime Minister Narendra Modi and Defence Minister Nirmala Sitharaman, where he pitched for greater defence cooperation between the two countries, it's worth taking a look at the reasons behind the formation of these new axes. It's clear by now that urging India to "do more" in Afghanistan wasn't just a hopeful arrow in the dark by the US. Trump is serious. His Afghanistan policy is driven by both strategic and domestic impulses. More than 17 years into a war the US cannot win, Trump — who just expanded military presence in the country — needs to assuage Americans that he at least has a semblance of a plan, and New Delhi's deep and enduring relationship with Kabul presents an opportunity. The US is in a considerably tricky position in Afghanistan. It has failed to make a difference in all key areas even after spending billions, losing nearly 2,500 soldiers and completing over 17 years. Democracy is fragile, while corruption is rampant; Afghan forces are still too inexperienced to manage security on their own, and Taliban has regained huge amounts of lost ground. If it rolls back and withdraws from the country at this stage, Taliban would take full control and Washington's efforts would have come to naught. If it presses down too hard on Pakistan to close the terror tap, or tries to take out the Haqqani network and Taliban leaders on Pakistani soil, it risks completely alienating a strategic partner and pushing it further into the Chinese lap. Pakistan may also try to cut off US access to Afghanistan. So while seeking greater cooperation from India, these calculations may have forced Trump to place the request within the parameters of "economic assistance and development". Mattis' visit to New Delhi was an effort to understand how far India — which has already contributed over $3 billion as developmental aid and is actively involved in training Afghan officers and providing security assistance — was willing to go. One of Mattis' chief aims was to gauge the contours and test the red lines of India's Afghanistan policy, and he was careful to praise India's role even before landing in New Delhi. The exchange between Mattis and US journalists en route to India, where the US defence secretary took a few questions, is illuminating. On a question about India's terms of engagement in Afghanistan that would suit the US, Mattis said, "India has been a constant supporter of the fight against terrorism in Afghanistan. Over the years, it's contributed tens, even hundreds of millions of dollars, for building the society, building these public services. They have helped train in India, had officers come there for schooling. They've been a great asset, and we would see them continuing along the lines they have already chosen, and looking for any other areas that they may believe appropriate to the relationship with Afghanistan," according to a media release from the US Department of Defense. It is evident that the US recognises India's contribution and understands the work it has already undertaken. This contrasts with the impression that the Trump administration is trying to coerce India into doing more because it is innocent of the nature of India's involvement. Then there's the question of security cooperation. 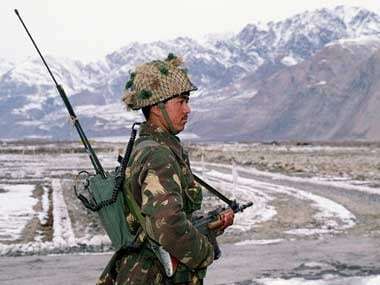 In response to a question on Tuesday during the joint news conference following Mattis' meeting with Sitharaman, the Indian defence minister clarified "there shall not be any boots on the ground", and stressed that India's role will remain restricted to building dams, hospitals and roads, and training Afghanistan's security apparatus. Mattis' interaction with US scribes reveal that this was a non-issue and another area of strategic convergence. Neither did India want to send across boots, nor did the US want India to do so, because this could complicate things even more between Pakistan and the US. 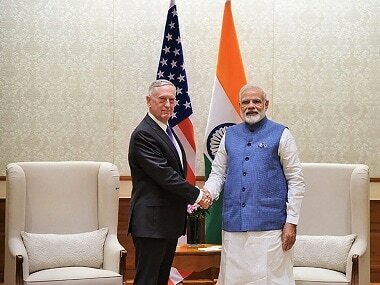 On a question of greater security participation from India, Mattis said that India's cooperation has come in the area of "training". "It's (India is) building the underpinnings of the government that actually builds the affection and respect of the people of Afghanistan to a government that delivers. It's absolutely critical to security that the people of Afghanistan feel hope for the future. No nation has probably contributed more bilaterally than India in building that hope," he said. Mattis repeated this during the joint statement, when he said, "We applaud India’s invaluable contributions to Afghanistan and welcome further efforts to promote Afghanistan’s democracy, stability and security". One of the biggest criticisms of Trump's Afghanistan policy is that it pushes Pakistan firmly into the Chinese axis. Mattis' comments suggest that it is not a zero sum game. "The relationship that we are building with India is not to the exclusion of other countries. It is specifically designed for inclusion using a rules-based order that any nation that is living by the traditional rules of non-interference in other states in today's age of anti-terrorism, they will not find this relationship in any way adversarial." This is an important marker for the stability and strategic convergence that underwrites US-India relationships and complements the convergences in other areas such as Afghanistan, terrorism and India's role as a security guarantor in the Indo-Pacific region. 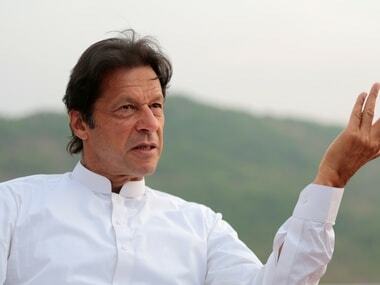 Finally, if both nations are veering inadvertently closer and finding newer grounds of consensus, that is also because the rival axis — the one between China, Russia and Pakistan — is equally strong and threatening. In his piece for Huffington Post, Pakistan-based journalist Kunwar Khuldune Shahid blames the hardening of this axis on Trump's Afghanistan policy. 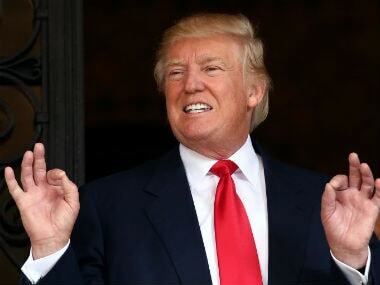 "In calling out the 'safe havens for terrorists in Pakistan' as part of his Afghanistan policy, US President Donald Trump has given formal shape to a reality that has been brewing in South Asia since Washington fell out with Islamabad post the Osama bin Laden raid. 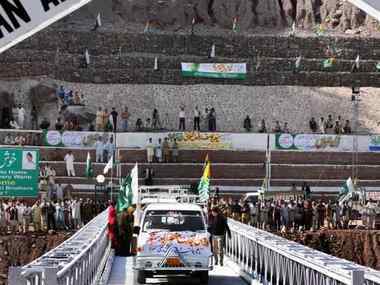 With both Beijing and Moscow coming out in Islamabad's defence almost immediately, the China-Russia-Pakistan axis has been formally inaugurated." To take Trump's Afghanistan policy as the reference point for this hardening of axis is likely a misreading. The impulses that drove the formation run much deeper are inextricably interlinked. China's massive infrastructural push arising out of aggressive revisionism, Pakistan's use of terrorism as foreign policy, Russia's meddling in US polls and subsequent deterioration of bilateral ties, Moscow's increasingly fraught relationship with New Delhi, Sino-Indian clashes of interests — these have all contributed to the hardening of positions. These axes have become all the more rigid due to the rise of nationalistic impulses in South Asia and subsequently, softening of stances have become that much more tougher. Mattis' visit, while cementing greater Indo-US ties, reconfirms the fractious geopolitics in south Asia.